It’s on the bus route to flinders and the hospital. Great neighbours and neighbourhood. Room has a lovely oulook. Freshly painted. Can be furnished with an older king bed but that takes up a lot of room. Other alternative is a fold out lounge and desk .. or you can supply your own. My most important thing is financial responsibility. Pay your rent when due. Otherwise it’s an easygoing household. Friendly people. Lots of sports area at backyard,like tennis court, swimming pool and basketball ring. Close to Flinders uni, around 5 mind drive to Uni ,bus stops around 50m away. Close to FMC,Marion shopping center. 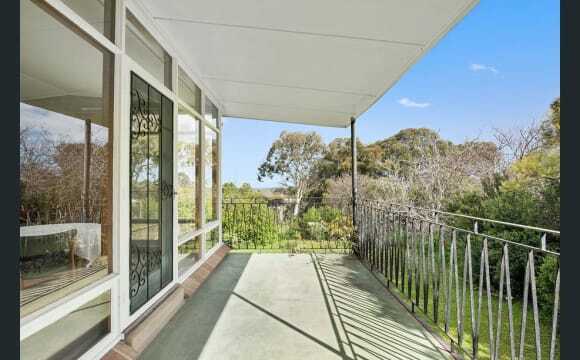 20 mins walking to Eden Hills train station and can go to city via train. Air-conditioning room. Easy to manage property with lots of indoor and outdoor living areas. modern kitchen, bathrooms and flooring throughout. Three air conditioning units in living areas and master bedroom, and fans in two living areas. Working on getting some photos. If not up yet, please contact us and we will get some photos to you. 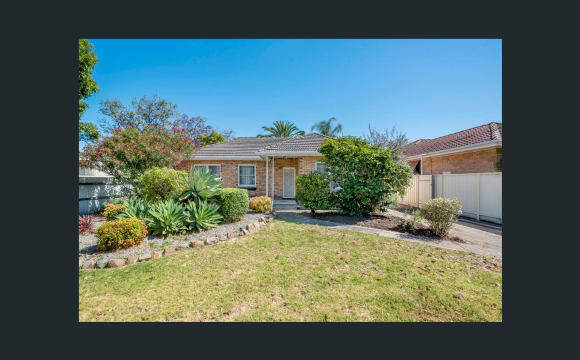 WALKING DISTANCE TO FLINDERS UNI! HURRY LAST ROOM AVAILABLE This well presented, fully furnished 6-bedroom home has plenty of space for everyone. The location and position is very convenient, with Flinders University, Flinders Medical Centre and Sturt Campus all within walking distance. There is also ample public transport options giving you access to places such as the Blackwood and Marion Shopping Precincts, as well as the Adelaide CBD. With more than enough room to move in the backyard and surrounding areas, this house gives the support needed for a perfect mix between study and leisure. The shared areas upstairs are very spacious and open, giving a warm environment for all housemates to socialise in a comfortable environment. 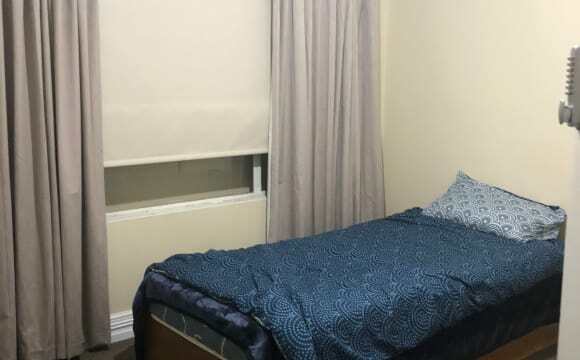 Current Availabilities: Room D: $175per week available from 18/4/19 （For single） Employed locals or uni students are welcome (no unemployed, housing trust, heavy drinkers, drug users sorry). Cleaning is a combined effort among housemates so you are expected to clean, maintenance is done by house owner. Preferred age of house mates is 18 years and older with a mature attitude. Each tenant has a secure bedroom with a lock, all rooms have split aircon installed and bedding necessities (bed,mattress) furnitures including desk, chair, lamp, clothes storage and bedside cabinet A generous utility allowance is included – Electricity, Water, and Internet. Sorry No big Pets - small pets are considered Make enquiries today and secure your room in this spacious home. We are happy to discuss and arrange a time for you to look through to appreciate this property and its prime location. 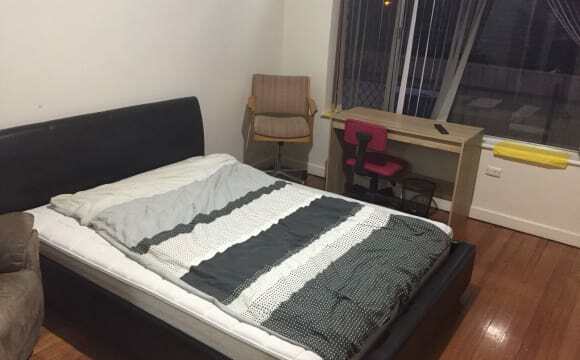 a beautiful student shared house situated at south central suburbs, 5 minutes away from flinders university , flinders medical centre, marion shopping centre 15-20 minutes away from city 3 minutes way from castle plaza shopping centre walking distance to a public transportation G10 house have three bathrooms and three toilets 5+ bedrooms. well equipped kitchen due to hygiene reason we dont supply pillows and bedding. you need to provide your own. we preferred people who will respect other housemates and hygiene conscious and tenants that can maintain cleanliness especially when using the common areas. no pets allowed as this is a student environment no partying no smoking inside the premises and rooms. 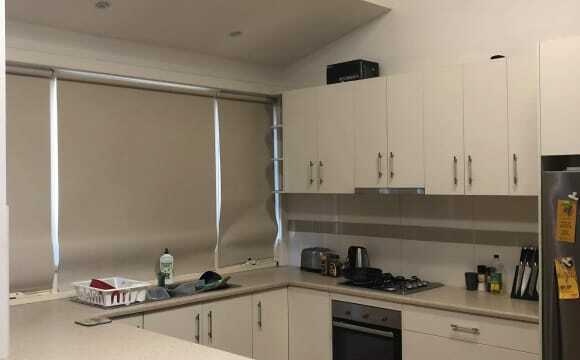 This apartment is walking distance from Flinders University, has sporting ovals near by, walking and bike trails starting from the back door step. Just a 5 minute drive or 15 minute bus ride from Westfield Marion Shopping Centre. Just one minute’s walk to the entrance of Flinders University and the Sturt educational precinct. Small bedroom with an adjoining private study, historic home with four friendly and stable students as housemates. 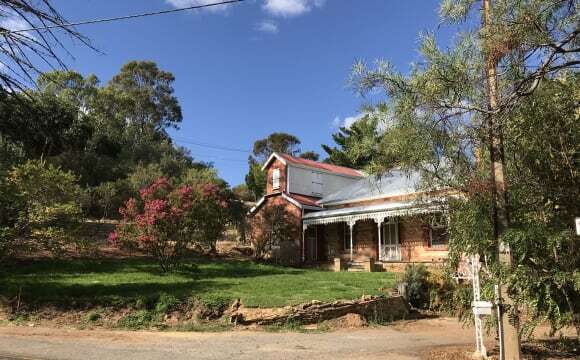 Includes access to equipped kitchen, modern bathroom, two toilets, laundry, common room, verandahs and spacious grounds in a rural setting which comprises the homestead, an old barn, old stables and many trees with a picturesque creek. Electricity, Gas, Water and Internet included in the rent. On-site parking. No extra charges. 25 metres distance to the uni campus entrance. Furnishings include single bed, desk, chairs, wardrobe, drawers, fan, heater. Room occupancy is for a single student only. 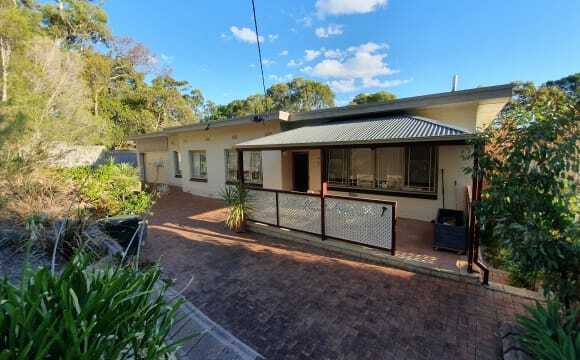 The property is only 7 km away from the CBD located on a quiet street. it has a large back yard with a nice alfresco area. there is also a lovely cafe just a few minutes walk down the street. its very clean, light and spacious. The room itself is a double room with a built in wardrobe. There is one shared bathroom but two toilets in the house. Aged somewhere between 22 to 32—Female—- Employed and/or a student? Look no further, you found a fabulous comfortable home/ room rental package deal, including bills. An ideal home for a person who enjoys living close to all that city life offers. With Adelaide CBD, Marion shopping Centre, Flinders Uni and - Medical Centre within easy reach. But who also enjoys the luxury of coming home to a place that feels like having your own nature retreat, away from the hustle and bustle. Access to Sturt Gorge Recreational Park down the road, with all the walking/cycling tracks. McLaren Vale wine region and local tourist beaches are also just a short distance away. 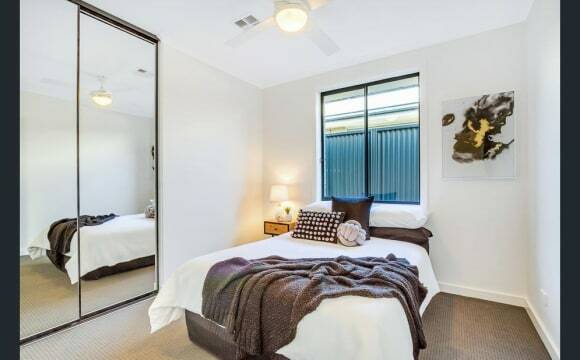 The room: Private bedroom with secure lockable door, ceiling fan, a built- in wardrobe, and a full length mirror, furnished with a desk, chair , side table. Furnished with standard double bed with new mattress. The house: Fully furnished. Has 2 spacious living/lounge areas, each with a TV. 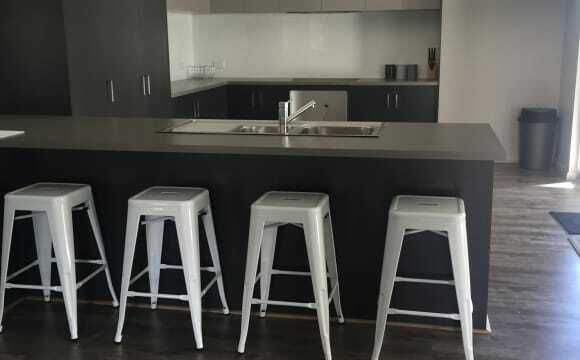 Modern, full equipped kitchen with gas stove ,electric oven, dishwasher and 2 brand new combo fridge/freezers. At the back of the house is a lovely alfresco area with outdoor BBQ/kitchen . A wood fire pizza oven is available in the backyard for the keen pizza enthusiasts. There’s enough space / areas for you to be on your own to relax or study in, but also to socialise with fellow housemates or with your own small group of friends. 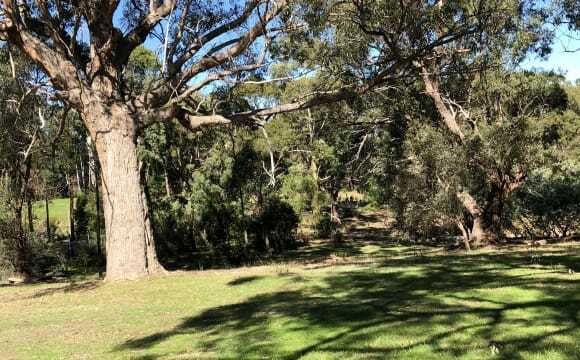 A great garden to have your morning or afternoon tea/coffee and listen to the local birds, you may even be lucky and see a native koala in one of the gum trees around the property. Shared bathroom with separate toilet. All seasons comfort with ducted air-conditioned cooling and gas heating throughout the house ,shared areas and bedrooms included. *Fortnightly cleaner for shared areas of house included. 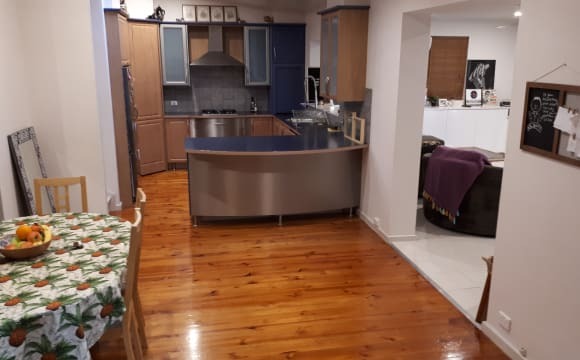 *Unlimited TPG FTTN 50 NBN + Netflix available and included *Utility bills included,——-condition apply——- Off street parking available 5 min walk to closest bus stop: stop 38 Black road, which will connect you to all areas of Adelaide. 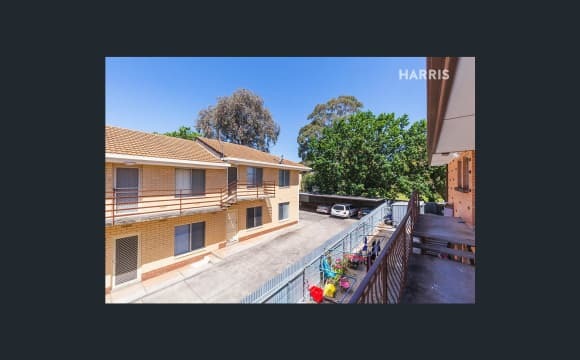 10 min walk to Flagstaff Hill shopping centre. 5-10 min drive by car to Flinders Medical/-Uni, and Marion shopping centre. 20-25 min drive by car to Adelaide CBD. 45-50min by bus to CBD If you want any further info please ask. 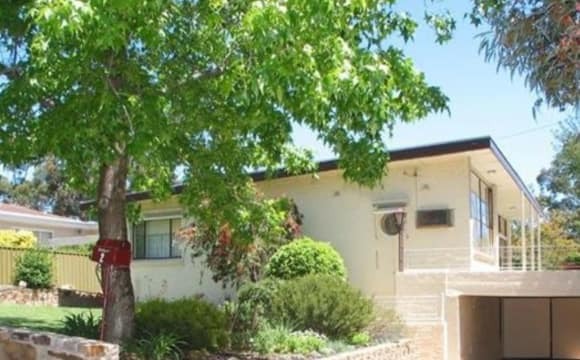 Property is 5-10 minutes away from Flinders University main campus by bus and is an approx. 10 minute walk from the Tonsley campus. 10 minute walk to the nearest shopping centre (Pasadena Green). Room avaliable is approx. 3.2m by 3m and has ample shelf space and hardwood floors, it is to the rear of the house. House itself has large front and back yards with undercover parking for at minimum two cars. There is a large shed currently used for storage. Kitchen is sizable with stainless steel benchtops and an electric oven/stove. Large living room that is currently underused/unfurnished. Property is connected to the NBN with a max speed of 87.5 Mb/s available. There is a washing machine present however no dryer though there is a hills hoist. Rent is $112 per week if fully occupied and water is included up to 175 megalitres. All other bills are evenly split. Signing on to the lease is optional but welcomed.